This is one of my new additions to my skincare routine and I said in last weeks post, click HERE, that I would review the Cleanse Off Mitt. 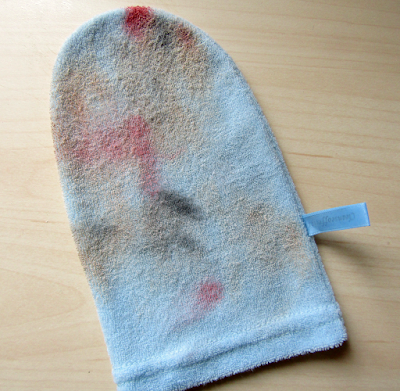 This mitt is created by Jennifer Rock aka The Skin Nerd from theskinnerd.ie who is a renowned beauty therapist. It is very similar to The Makeup Eraser but it is less than half the price, €4.99 compared to €18 approx. It claims to contain no chemicals and can remove up to 95% of your makeup like any other cleanser. What attracted me to buy it was that I had my eye on The Makeup Eraser but I could only purchase it off Amazon US and I didn't want to get hit with expensive shipping as well as a sneaky customs fee. I wanted to find a more economic and environmentally friendly way to remove makeup that wasn't going to break the bank. I purchased this in a local pharmacy over a month ago. Place under running water until completely saturated. Use as a facecloth and go around gently in circler motions around your face. Wash with hand soap or in washing machine. 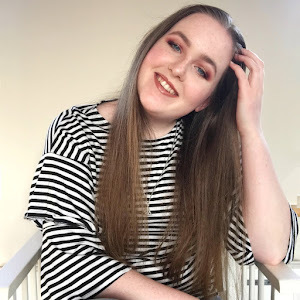 At first, I was applying too much pressure when removing my makeup which cased my skin to go red but after 1 or 2 uses I realised my mistake and changed tactics. I didn't realise that you needed to apply very little pressure to remove makeup as I thought the more pressure the easier it is to remove makeup but that was not the case. After use, I hand wash the cloth with whatever soap is at the sink. This takes me about 5 minutes to do as mascara is hard to remove from it. I then leave it on my radiator in my room to dry for the next use. I put it in the washing machine once a month to give it a deep clean and get rid of any stains. 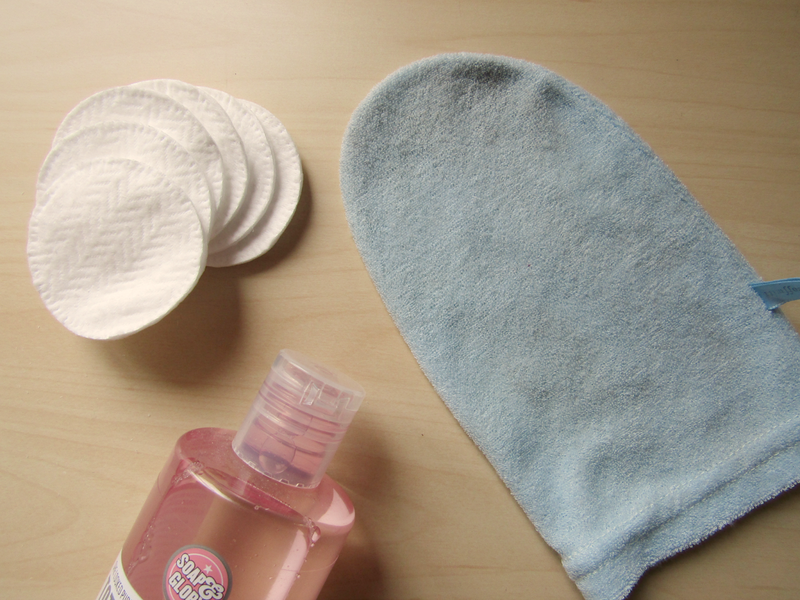 This cloth has become a main staple in my skincare routine and I don't use anything else to remove my makeup. For the price, it works amazingly and the makeup comes out of the cloth very easily. I love how cost effective and environmentally friendly they are. Have you tried out the Cleanse Off Mitt? I am such a lazy person that I don't really have any skincare routine. And I am ashamed to say I often forget to take off my make-up before going to bed. Though when I am feeling motivated I do like to invest in products and will use them for a few weeks before throwing them aside. This mit sounds like a very economical purchase and doesn't require much work so I think I might look into buying it! 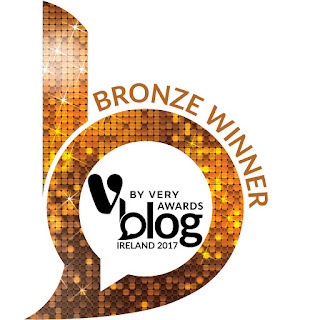 Thanks for commenting Marian! I used to be quite lazy with my skincare but gradually it built up over time. 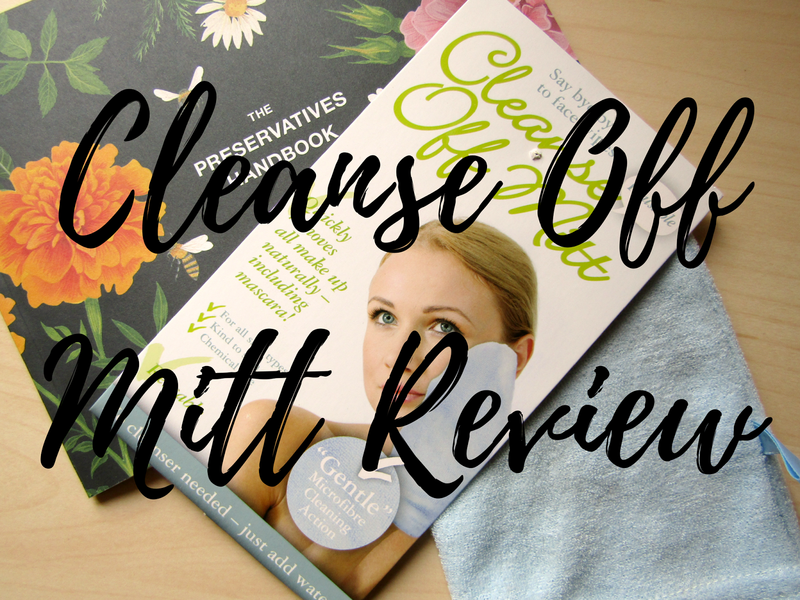 I 100% recommend the Cleanse Off Mitt.